Roy Rochlin/Getty ImagesMichelle Obama visited The Lower Eastside Girls Club on Friday. 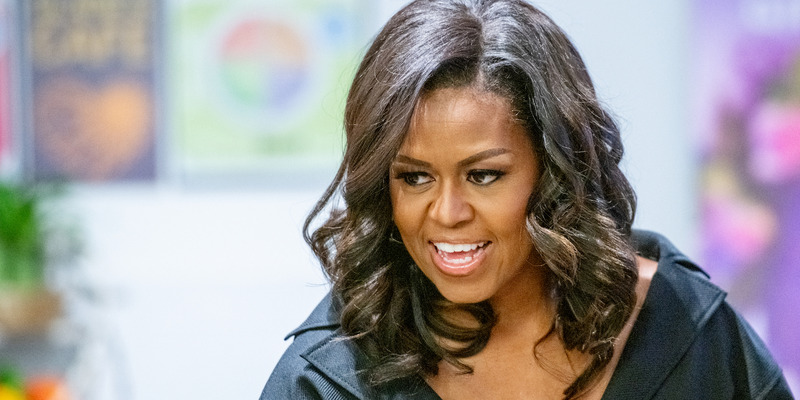 Michelle Obama said the “lean in” approach for women in the workplace advocated by Facebook’s chief operating officer, Sheryl Sandberg, wasn’t always enough for women. “It’s not always enough to lean in, because that s— doesn’t work all the time,” Obama said. Sandberg’s approach has been criticised for suggesting that individual women, rather than widespread policy changes, have to be the solution to workplace inequality. Michelle Obama has criticised the “lean in” strategy advocated by Facebook’s chief operating officer, Sheryl Sandberg, as insufficient for women trying to excel in their careers. “That whole ‘so you can have it all.’ Nope, not at the same time,” Obama said at an event for her book “Becoming” in New York, New York magazine reported. Sandberg advocated in her 2013 book, “Lean In,” that women take charge in the workplace. It encouraged women seek to supercharge their careers by improving their negotiation tactics, striving to fill leadership roles at work, and taking control of their professional life. Obama quickly apologised for swearing, New York magazine said. “I forgot where I was for a moment!” she said. Obama’s comments are not the first criticism of Sandberg’s approach, which some has said puts the burden on women, rather than widespread policy changes, to solve workplace inequality. In a study this year, a group of Duke University psychology professors used 2,000 participants to test the lean-in approach and how it worked with structural and systemic disadvantages women face in the workplace. One group of women read excerpts from “Lean In” and listened to portions of Sandberg’s TED talks that focused on how women should be more confident in the office.